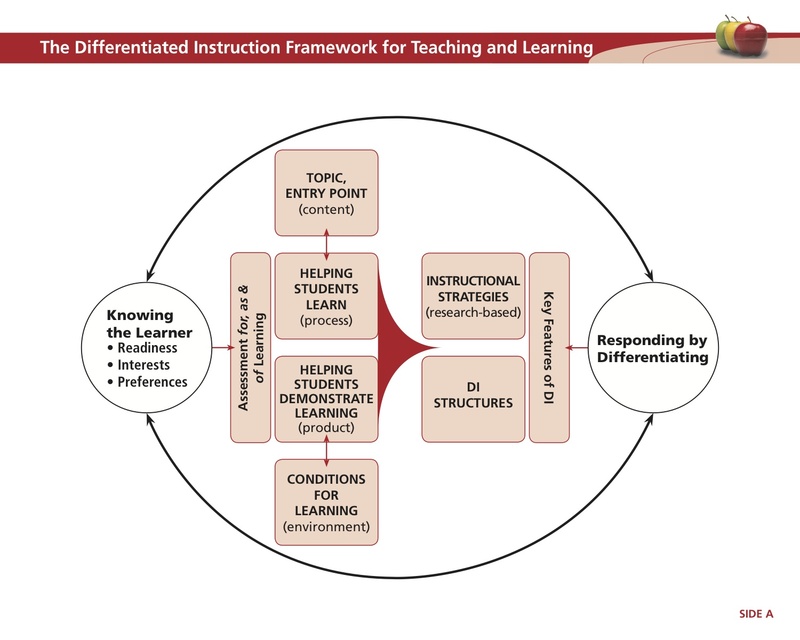 Differentiated instruction responds to learning preferences, interests and readiness of individual learners. Differentiation isn’t a new idea. Educators have consistently varied the way we reach out to different learners. Differentiation can be addressed in how you structure lessons for learning, how students engage in ideas and how they demonstrate their own mastery of the topic. Taking differentiation into your planning doesn’t mean a student never has to write paragraphs or will never have to do an oral presentation. It may mean in one assessment, a student shows he can “demonstrate an understanding of the development of Canadian identity in the 20th century” through a series of images which he talk about orally. Nothing in the expectation says, “must demonstrate through paragraph writing.” It can mean modifying the classroom environment, the activities and the output.